DIN Standards are invented for a variety of components including industrial fasteners as 960 Hex Head Cap Screws. DIN 960 Bolts are manufactured from Carbon Steel, Stainless Steel Grade A1, A2 or A3, Brass, Ordinary alloy steel or many other materials. 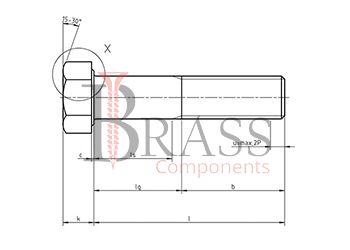 DIN 960 Bolts are available in a wide range of sizes, shapes and materials. 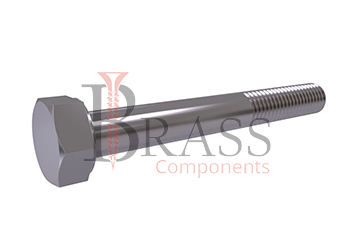 DIN 960 Bolts are High Strength Bolts with a Hexagon head and fine metric threads. Strength Class 5.6, 8.8, 10.9 and 12.9. Complies with ISO 8765, GOST 7798, GOST 7805 and GOST 15589. A fine thread pitch ensures a strong tightening contact between the nut and the stud. Used for connecting and fixing parts and structures in construction, manufacturing, production and engineering. Used to securely fix the structure where a large step can cause an additional play of the product. Used in combination with hex nuts as well as lock nuts and self-locking nuts. Most often used in Marine environments, food or chemical industry. We manufacture DIN 960 Bolts as per Custom Specification and export in Germany, Sweden, Denmark, Norway, Russia, France and other European Countries. For more Information, Please Contact Us or Inquiry Now.